Our counseling program is designed to address the needs of all students by helping them acquire competencies in career planning and exploration, knowledge of self/others and educational/vocational development. The school counseling program consists of various programs: individual and group counseling, parent and teacher consultations, group guidance, referral assistance to other programs and services in the community, and classroom guidance. In this week's Comet Conversation, Superintendent Sayers talks with Coach Rob Glatz about the Comet Relays and how it became one of the biggest track and field meets in Ohio! Nominations for the 2019 Amherst Distinguished Alumni Gallery of Success are open! Applications can be accessed by visiting the Amherst Schools Alumni Webpage and must be received by Friday, May 17, 2019! The AJH Theatre Troupe presents The Rainbow Fish Musical on Friday, April 26th at 7:00 p.m. at the Steele Cafetorium. In this week's CometConversation, Superintendent Sayers talks with Building and Grounds Supervisor Chuck Grimmett about the buzz in the community regarding the construction of the new Powers Elementary! Greetings! I am a proud graduate of the Amherst Schools. I have been teaching third grade in Amherst since 2001. My husband, Ryan, and I are raising our three children here as well. Outside of school, I enjoy taking vacations with my family and watching my children in their various activities. I love seeing my current and former students out and about. It is one of the many reasons I feel so fortunate to work and live in our wonderful community! I look forward to working with everyone over the course of the year! My name is Mary Scott Williams and I am the 5th and 7th grade School Counselor for the 2018-2019 school year. I am thrilled to begin my fourth year as a school counselor at Amherst Junior High & Nord Middle School. Before becoming a counselor, I taught special education for four year in Amherst. I am very proud to work in the Amherst Exempted Village School District. Outside of my career, I am a Mom of two little ones; Baylee and Henry. We enjoy going to the beach and playing on the playground! I am excited for a wonderful year ahead filled with helping your child celebrate their achievements, overcome challenges and accomplish their goals! My job is to do all that I can to ensure your child is happy and finds success in the classroom. Please do not hesitate to contact me. As part of the Counseling Program at Amherst Junior High School and Nord Middle School, we are offering a variety of groups to the students this year. A group is anywhere from 3 to 9 students who all share the same concern or program. These groups do not deal with the treatment of psychological disorders. Small group counseling focuses on a particular problem which may be personal, education, social, or vocational. The groups are preventative, short-term, supportive, and developmental. They help the children find a way to cope with stresses, and teach them skills that they can use in everyday life. All groups are completely optional for students. Groups are held once a week, during a regular school day period, and usually during a study hall time. There will be six to eight group sessions. Please note that we treat all information with strictest confidentiality and the highest respect. Below is a listing of the groups for this upcoming school year (groups are subject to change). Girls Circle: Structured support group for girls which integrates relationship theory, resiliency practices, and skills training. Designed to increase positive connection, strengths, and competence in girls. Boys Council: Strengths-based group approach to promote boys' and young men's safe and healthy passage through pre-teen and adolescent years. Mindfulness Group: An opportunity for children to calm their minds, become more aware in order to work through their anxieties and school stressors. Study Skills & Organization Group/Open Table Format: Focus' on improving academic success through goal-setting, study skills, and test-taking strategies. Provides opportunity for academic skill-building and a time for sharing and relating to peers on a social level. If your child would like to be involved in a group, or if you want your child to participate, please contact a guidance counselor for more information. In 1967, state lawmakers passed legislation creating Community Mental Health Boards. 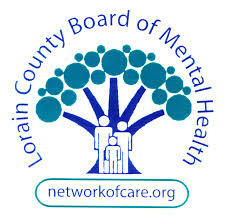 The Lorain County Board of Mental Health (LCBMH) is the local public agency that plans, funds, monitors and evaluates a system of services for residents with mental illness in Lorain County. A citizen's board of 18 community members decides the services to be provided and funded based upon state requirements and community needs. It also monitors and evaluates delivery of those services. Private, not-for-profit, including independent community agencies are contracted by LCBMH to provide an array of mental health services, including counseling, peer support, community support programs, prevention, consultation, crisis intervention, housing development and management, and vocational employment support. Greetings! I am Jill Coleman and I am the 3rd and 4th grade School Counselor. Hello! I am Mary Scott Williams and I am the 5th grade School Counselor.